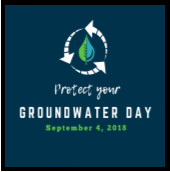 September 4th is National Protect Your Groundwater Day!! Protect your Groundwater Day is an annual observance established by the National Groundwater Association (NGWA) to highlight the responsible development, management, and use of groundwater. It is also a platform to encourage yearly water well testing and well maintenance. According to the NGWA, 44% of the U.S. population relies on groundwater for its drinking water supply. It is also used for irrigation, livestock, manufacturing, mining, thermoelectric power, and other purposes, making it one of the most widely used and valuable natural resources on earth. NGWA also notes that only 1% of the water on earth is usable, 99% of which is groundwater. Groundwater is the world’s most extracted raw material, with withdrawal rates in the estimated range of 259 trillion gallons per year. And, as everyone knows, drinking 6 to 8 glasses of water per day is good for your health. So, don’t take that crisp, clear, and clean glass of water for granted! Brickhouse Environmental encourages everyone to do their part in conserving and protecting this precious resource. The EPA has also labeled 1,4-dioxane as an emerging contaminant and, as toxicological studies continue, some states are lowering their groundwater standards to 0.3 ppb. This compound was a stabilizer added to the solvent 1,1,1-trichloroethane (TCA) in the 1950s, so it is commonly found in groundwater at solvent cleanup sites. The newly discovered health risks from these emerging contaminants, combined with advances in laboratory detection technologies down to the parts per trillion, are causing federal and state agencies to re-open investigations into previously closed Superfund and other remediation sites. 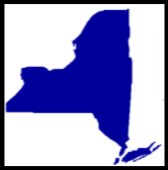 Also, beginning this Summer, the New York State Department of Environmental Conservation (NYSDEC) began issuing letters notifying remediation site owners of new requirements to sample their properties for PFAS and 1,4-dioxane. Analytical methods for these compounds are costly, as the labs must detect down into the parts per trillion level. Sampling techniques require great care and specific expertise. As a result, the need to assess and/or remediate these compounds can represent a significant additional financial burden to site owners. As different states continue to develop their emerging contaminant programs, it is important for property owners with affected sites to obtain technical and legal advice early in the process, to help manage these issues and their associated liabilities. Regardless of well type (monitoring, drinking water, agricultural, etc.) or location, it is always good practice to properly abandon wells that are not being used and are not planned for future use. The goal of well abandonment is to prevent potentially contaminated surface runoff from directly entering our aquifers. Regulatory implications vary from state to state and, in some instances, from county to county. In Pennsylvania for instance, Chester County and Bucks County tightly permit and regulate the installation, use, and abandonment of all types of wells. In Montgomery County, only potable supply wells are similarly regulated. Other counties in Pennsylvania (typically more rural counties) have no specific permitting or regulatory requirements for wells. 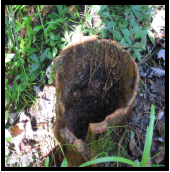 The Pennsylvania Department of Environmental Protection (PADEP) has also begun to more strongly encourage all well owners to properly abandon unused wells, particularly at closed remediation sites. In New Jersey, the New Jersey Department of Environmental Protection (NJDEP) has taken this a step further. At environmental cleanup sites, before the regulators will issue a Remedial Action Outcome (RAO: a State issued approval indicating that remedial work has been completed), the persons responsible for cleanup are required to properly abandon (seal) all existing groundwater monitoring wells. These well abandonments, by regulation, must be performed by a New Jersey licensed driller who will document the well sealing. This abandonment documentation is a required submittal to obtain the RAO. If monitoring wells are damaged, covered, or cannot be located to be properly abandoned, a series of administrative filings and submittals will be required to obtain your RAO. This administrative work can extend the timeframe to closure and add unforeseen project costs. Today, billions of people still lack access to a safe, reliable water source. Yet, water is one of the most important resources we all need to survive. On the most basic level, we need it for drinking and sanitation. While hard to imagine not having enough water to safely fulfill our basic needs, in more arid climates and less developed societies in the world, water can be scarce and oftentimes unsanitary. 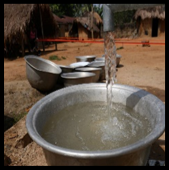 It is worth noting that, in any condition, consumption of untreated surface water results in significant risk of water borne diseases such as cholera, typhoid, and dysentery. To add to the risk, unsafe drinking water sources are often great distances from people’s homes, resulting in hours of daily water retrieval. It is hard to imagine, but the ability to safely fulfill this basic need is a real and often insurmountable challenge. There is hope. For many of these people, groundwater serves as a promising resource that can dramatically improve quality of life and provide opportunity for advancement far beyond basic needs. The main challenge is access. A local organization working to solve this problem, with a focus on long-term sustainability, is Lifetime Wells International (LWI). The mission at Lifetime Wells International is to improve qualities of life in the developing world and reduce the number of people without access to clean water through working with local communities to install, maintain, and monitor water resource infrastructure. Their efforts are currently focused in Ghana and Tanzania. The primary method involves drilling a water supply well and installing a handpump in the heart of the community. While LWI helps communities transition from a potentially dangerous and unreliable surface water source to well-produced safe and reliable water from beneath the ground, LWI is spearheading the start of true change in the community’s access to a safe, reliable water source. To maximize the lifetime of a well, Lifetime Wells International works with each community to develop and implement a water resource management system. LWI actively recruits and trains local pump mechanics capable of monitoring, servicing, and repairing the water resource infrastructure. By ensuring communities understand and are equipped to manage their new water systems and guaranteeing access to pump mechanics skilled in necessary maintenance and repair, LWI works to create reliable, safe, and sustainable water resources and possibilities for greater advancements in people’s quality of life. Since 2015, Brickhouse Environmental has been an active supporter of LWI’s mission and encourages you to take a closer look at their ongoing work at www.lifetimewellsinternational.org.